Obituary for Violet Elsie (Riley) Wilson | G.F. Oliver Funeral Chapel, Ltd. It is with great sadness that the family announces that on Thursday, April 11th, 2019, Elsie Wilson passed away at the age of 91 years. She will be fondly remembered and is survived by her sisters Sheila and Ann (England); her sons Rod (Arlene), Lionel (Marin), Richard, Leonard, and daughter Laurie; grandchildren Paul and Josann; Tony (Christina) and Dawna; Bruce; Victor and Jackie; great grand children Erica, Luka, Kayla and Kasie; Anna and Taynah; Zachary; as well as, many neices and nephews(England); and other extended family members and dear friends too numerous to list. Elsie was predeceased by her son Ronald Frances Wilson (Brandon, Manitoba): Annie Elizabeth Riley (mother) and William Richard Riley (father); sister Pam; and brothers Len and Ron (Dover, England and Wuppertal, Germany). 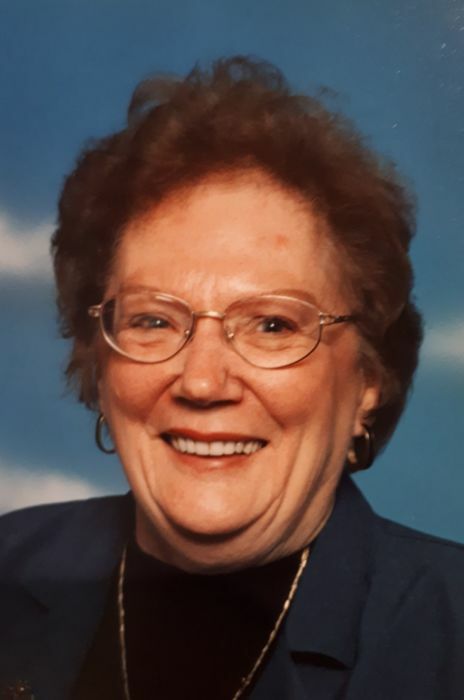 A Service will be held at the G. F. Funeral Chapel in Creston BC on Wednesday, May 2nd 2019 at 1 p.m.
Elsie will be buried in the Vedder View Cemetery in Chilliwack BC. There's still time to send flowers to the Memorial Service at the G.F. Oliver Funeral Chapel, Ltd. at 1:00 PM on May 2, 2019.